Facilities where a lot of people enter and exit, including visitors, it becomes important to scrutinize them and define a level of access within the facility. This selective restriction is very important in facilities visited by a large number of people, as an intruder can disguise as a visitor and can pose threat to the property and lives of others. Without a systematic approach managing visitors while keeping things in order can be a tedious task. Due to the increasing numbers of security incidents in recent times, it has become very important to control the whereabouts of visitors. Visitor management and selective access can help avoid many undesirable incidents. However, processing and managing visitors can be a slow and burdensome job and leave visitors waiting for their turn in long lines. Fortunately there is a way that can enable visitors to skip these lines. Technology has marked its presence in most aspects of business operations and visitor management is not an exception. Technology powered visitor management system greatly reduces human efforts required for the job. When a visitor seeks entry to a facility, his/her identity is established for internal records for identification and safety purposes. He/She can also be asked to produce a government issued ID or a business card for recording details. This process is called visitor enrolment. On a manual visitor management system, these details are recorded in writing and photo of the visitor is often not captured, which may lead to a serious security problem. Managing visitors on a manual system can be a tedious task in bigger facilities where a large number of visitors seek access on a daily basis. 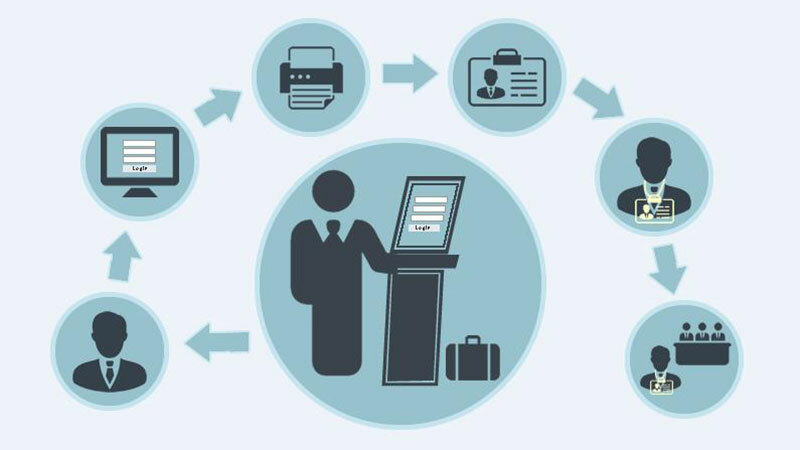 A computerized visitor management system can overcome shortcomings of a manual system and can automate the process. It results in a lot of saved time and manpower. Computerized system can check a visitor records against an internal watch list. It can also generate various reports for auditing purposes, which can be a requirement in larger or secure facilities. Visitor Management Systems come with ability to capture detailed visitor information like his/her name, contact information and the photograph. It can also have ability to scan government issued identity card or a business card of the visitor, which can speed up the enrolment process. Issuing badges to visitors is another important function in visitor management. An efficient visitor management system can produce customized visitor badges by visitor type, brand or level of access. Visitors are expected to wear these badges all the time so that security personnel can identify a visitor if she reaches an area she is not allowed to be at. Visitor management systems also come equipped to handle emergency. They can quickly generate an accurate list of visitors in the facility in an emergency situation. Some systems allow visitor to self-register using a touch based interface, others require an operator to register the visitor. Some systems can also screen visitors against felony database of law enforcement agencies. Using fingerprints for identity management and authentication is an increasing trend around the world. Using biometric for identification and authentication is way more efficient than traditional identity card or document verification based approaches. Since visitor management also includes establishing and verifying identity of visitors, ability to scan and process visitor fingerprints greatly improves efficiency of a visitor management system. Once enrolled on the systems, visitor details can be instantly fetched by scanning visitor’s finger on his/her repeat visits. It saves a lot of time in facilities where a large number of visitors seek access. Introduction of fingerprint Scanner can also reduce the manpower required for the job. Operator at visitor window does not need to enter any detail to fetch visitor’s record if he has been already enrolled on the system with fingerprint. Capturing fingerprint of the visitors also makes sure that nobody gets in using a fake identity as fingerprints are near impossible to be forged. 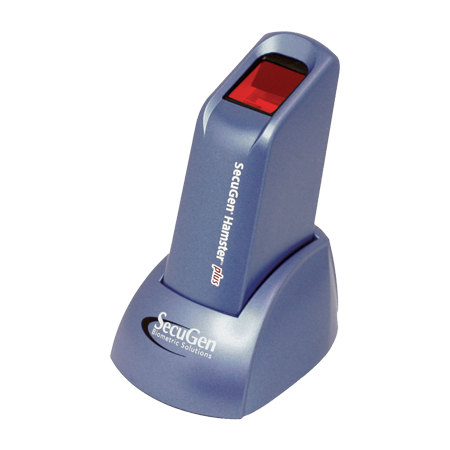 Fingerprints scanners are now fairly common. They are found in many applications at banks, stores, and work places where employees register themselves for applications like attendance, door access, logging in to devices, etc. 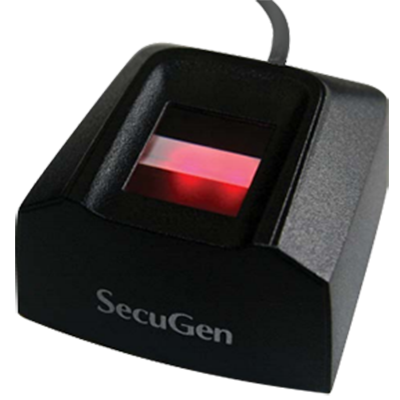 There are many other areas where use of fingerprint scanners can make improve processes. In a visitor management system, use of a fingerprint scanner can dramatically eliminate visitor check-in/out queues. K-12 schools can make use of a fingerprint powered visitor management system to process visitors faster and eliminate security threats that may enter school premises in disguise of visitors. Once a visitor is on school’s visitor management system records, his identity can be verified instantly on every visit by scanning fingerprint. Most schools do agree with the importance of an access control system but often neglect risks that may be posed by visitors. Schools still do not realize that they are always in a great need to know who are in the school premises. Schools have always been a target of many undesirable incidents including gun violence. Scrutinizing visitors can reduce the risk of such incidents. It is high time for K-12 school administration to understand that traditional or manual ways of processing visitors can compromise school security. Since a threat may enter the school premises posing as a visitor, every visitor present in the school should be in identified and authenticated state. He/She should be authorized to be where he/she is at that moment. A computerized visitor management system can print expiring badges, so that school staff can be aware of a visitor who stays beyond the time permitted. That is not all, schools where a large numbers of visitors seek access, can result in waiting time in lines, and fingerprint scanner lets visitors skip that. Fingerprint scanner powered visitor management systems can also integrate with access control systems, which takes security of K-12 education facilities to the next level. Corporate structures encounter visitors on a daily basis. These visitors can be external service providers, delegates or officials from other organizations. Only a few bigger corporations employ a computerized full service visitor management system while other smaller structures rely on partial computerized or manual system to manager visitors. Corporate buildings have information systems that may contain crucial data, sensitive information as well as trade secrets. A threat disguised as a visitor can compromise the physical security of a corporate premises and may cause damages to the property or data. A full service visitor management systems equipped with a fingerprint scanner can easily overcome security risks posed by visitors. Almost all corporate structures have some form of access control these days, so integrating visitor management system with access control makes a perfect sense. Visitors can be issued access cards that let them enter only designated area and deny further access. Where number of visitor are large, fingerprint scanner lets visitors skip lines. Since government setups may range from low to very highly secure facilities, formalities for processing visitors may vary building to building. For some facilities, it can be a complex process including law enforcement verification depending on the level of security laid for the premises. A computerized visitor management system equipped with a fingerprint scanner can address processing formalities required for government outfits. Some government facilities have a very large number of visitors depending on the department it belongs to. Departments that are engaged in citizen services are often in critical need of an automated system to manage visitors. A full service visitor management system equipped with a fingerprint scanner can help visitors skip lines. 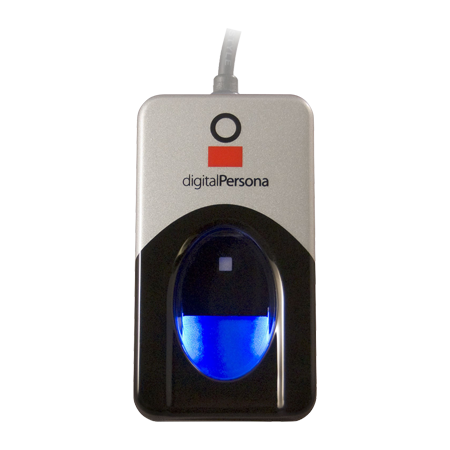 Fingerprint scanner makes quick enrolment and identification of visitors possible and help clear queues. Government facilities with high level of security can also benefit from fingerprint scanner powered visitor management system. College and Graduate School facilities may have an overwhelming number of visitors in certain seasons. Managing these visitors will require a lot of time and efforts without an efficient visitor management system. Other than visitor management, college and graduate school require elevated level of security owing to the present scenario of educational institutions’ security. College and graduate schools have seen some violent incidents in recent years. It is very important to scrutinize visitors so that suspicious ones, who could pose a threat to the institutions’ security, can be isolated. A visitor management system that leverages fingerprints to recognize visitors, can help college and graduate schools to separate intruders from visitors. Along with security, a fingerprint scanner equipped visitor management system also lets visitors skip lines when numbers of visitors exceeds expectations. Pursuit of active lifestyle brings people to recreation clubs to compensate their physical inactivity at work. Recreation clubs are often large facilities with a number of sections for different activities like various sports, fitness training, exercise, yoga, etc. Managing a facility this large with a number of members and visitors can be challenging. A fingerprint scanner powered visitor management systems can help manage visitors of the club. Integration of visitor management system with access control system is also a good idea for a recreation club. Visitors can be issued access cards with all the permitted areas that he/she can visit. These cards are denied by the access control systems when a visitor tries to access a facility he/she is not privileged for. Once enrolled on the visitor management system with fingerprints, visitors record can be quickly fetched on their next visit, enabling them to skip lines. Amusement parks can have an overwhelming numbers of visitors, specially during holidays. Large amusement parks often have multiple windows to process visitors, yet they fall short at many instances and visitors have to wait in lines. Long lines at amusement park entry can spoil the fun visitors came looking for and leavening a bad image of the park on visitors’ mind. Operators at visitor windows often have to process high visitor numbers in a short amount of time. A visitor management system with fingerprint scanners can overcome all these challenges and enables you to manage large number of visitors in amusement and theme parks. After one time enrolment, visitors just have to touch the fingerprint scanner and their details, are processed in seconds on subsequent visits, enabling them to skip line. Healthcare setups are more populated than ever these days due to increasing health issues and unhealthy lifestyle. Visitor windows can be a very busy place during certain hours in a healthcare setup. Number of visitors can also increase in certain seasons. Managing high volumes of incoming visitors can be a burdensome task in any healthcare setup. Healthcare setups like clinics, hospitals, chiropractors, blood donation centers, health clubs, wellness centers, dentists, etc. 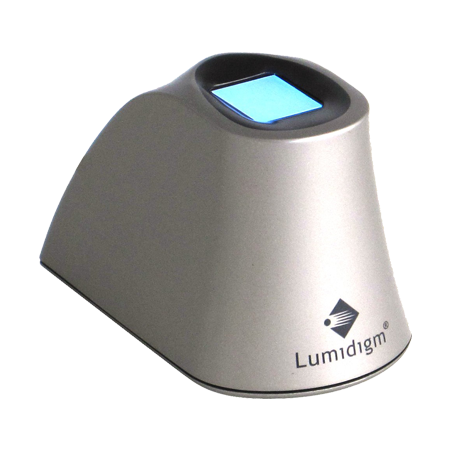 can easily process higher volumes of visitor with a fingerprint scanner equipped visitor management system. Once a visitor is enrolled on the visitor management system with his fingerprints, his details are quickly processed making check-in/out quick and easy. A stitch in time saves nine. A onetime enrolment on a visitor management system using visitor fingerprint can reduce time and efforts required during the repeat visits. Repeat visitors brings additional burden of repetitive formalities, fingerprint powered visitor management is a boon for processing such visitor. Visitor Tags can be generated in a matter of seconds by scanning visitor fingerprints. No additional information is needed. Capturing visitor fingerprints are particularly important in high security facilities as they are often under threat of intrusions or unauthorized access. Manual or partially automated visitor management systems are no more relevant in present scenario. Threats often come in disguise of friendly faces. Even full service computerized visitor management system without a fingerprint scanning ability fall insufficient as they make use of cards to verify identity. Using visitor biometrics like fingerprints can make sure that visitors are who they say they are, because other forms of identity can be forged, stolen and misused. More advanced visitor management systems can also screen incoming visitors against felony database. A fingerprint scanner equipped visitor management system enables fast check-in/out of repeat visitors, enabling visitors skip lines.